This Backpacking Philippines Guide and Tips is written particularly for foreigners, tourists and ex-pats, wishing to travel around the country. This will supplement whatever information and travel guides you already have about Tutubi's beautiful yet underrated Paradise Philippines! The cheapest flights to the Philippines are available from budget carriers from Singapore (Tiger Airways), Malaysia (AirAsia) or Cebu Pacific (Malaysia (Kuala Lumpur (KL)), Macau, Thailand (Bangkok), Singapore, China (Guanghzou, Xiamen, Shanghai), Japan (Osaka), Taiwan and Korea) or occasional low fares promo of Philippine Airlines. No information yet on the cheapest of the cheap flights to the Philippines from the US, Japan, UK, Germany, France or other European countries outside of the list. Most foreign nationals can visit the Philippines Visa-free for 21 days provided they have a valid passport up to 6 months and a plane ticket out of the country.Visa extensions can be availed at the Philippine Immigration Office for a minimal fee and can be extended up to two years (beyond two years, just a board a plane out of the country even for a day then return for a fresh 21 day visa). Complete information can be found here. The 21 day visa does not include citizens of India and most Middle Eastern countries. Warning for unaccompanied minors, i.e.children below fifteen years of age, traveling to the Philippines with foreign passports and unaccompanied by parents (unless one of the parents is in the Philippines), inquire about the Waiver of Exclusion Ground (WEG) at the nearest Philippine Embassy of Consulate. T-shirts, shorts, sneakers, sandals are fine but also bring dresses and attire suited for a particular place, meeting or occasion. Note that some places don't allow sandos, shorts, thongs or flip-flops so be prepared for things like this. The Philippines has a tropical climate with plenty of sun, generous rainfall, gentle winds, humid and with an average temperature of 26 degrees Celsius. Off-season for tourists is June to October where typhoons and storms visit the country, the cool months of November to February, probably the best time to visit, and and the hot summer months of March to May. Philippine Standard Time (PST) GMT +8, the same time zone as Singapore, Hong Kong, Kuala Lumpur. Sunrises and sunsets occur at around 6am and 6pm give or take thirty minutes. This is different from the so called Filipino time, by the way. Filipino is the national language while English is widely spoken and understood. You may want to learn a word or two in Tagalog, where Filipino is based, or Cebuano, which has the most number of native speakers. Learning to speak a few phrases, even with wrong pronunciation, will elicit smiles from locals! Metro Manila thrives with exciting nightlife with bars and restaurants offering live bands, karaoke bars, sometimes spiced up with scantily-clad women in red light districts of Malate in Manila, Burgos street in Makati and Quezon Ave in Quezon City. Popular venues for performing arts is the Cultural Center of the Philippines in Pasay City, while various museums are present to give visitors a glimpse of culture of the islands of yore. A throbbing art scene is also visible in various art galleries in Metro Manila and around the country. All passenger departures require payment of airport terminal fees prior to departure at airports (except for domestic departures from Ninoy Aquino International Airport (NAIA, formerly Manila International Airport (MIA)), and Mactan-Cebu International Airport where the terminal fee is already included in your plane ticket. Airport terminal fee for international departures is PhP550.00, while it varies from PhP20.00 to PhP200.00 for domestic destinations. Herewith is the list airport terminal fees for departing passengers. Travel tax for international travelers, economy class, is PhP1620.00 (around US$38) and is usually included in the plane ticket price (check your plane tickets to verify though). Manila Domestic Airport has both airport taxis and metered ones. Remember to get the taxi coupon from the dispatcher in case of problems or complaints. Philippine cuisine is an eclectic fusion of Filipino, Malay, Chinese, Mexican, Spanish and American influences so prepare yourself for the unique blend of tasteful food available. Cosmopolitan that it is, restaurants from Chinese, Japanese, Indian, Mexican, Vietnamese, Arabic/Persian, European and fast food chains are present and easy to find. Restaurants offering halal food are also present. One such example is the famous Filipino adobo which is a way of stewing in vinegar, while kare-kare is of Indian origin. The kilaw/kinilaw/kilawin, meat or fish soaked in vinegar, is one of those dishes devoid of foreign influences. Cheap Hotels/Apartelles/Accommodations/Condotels/Homestay/Hostels/Pension Houses/Bed and Breakfast need research and reservation prior to showing up unlike in other countries. In more established tourist areas like Malate, cheap hotels are easier to find. Most of the small backpacker hotels don't have websites so your most logical choice is an actual telephone call or you may ask a Filipino friend/fiancee to search for you. The biggest thing about the Philippines is DIVERSITY! Include Manila in your Philippine itinerary like a day tour of Intramuros in the old walled city of Manila, Rizal Park, Manila Ocean Park, visits to various Manila museums then hie off to Tagaytay to see Taal Volcanoand another day trip to Pagsanjan Falls in Laguna to "shoot the rapids." 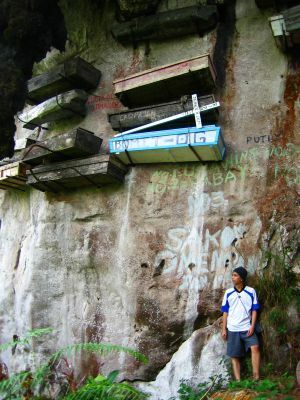 Near Sagada are the UNESCO-inscribed Banaue Rice Terraces that look like stairways to heaven. In Pampanga and Zambales stood Mt. Pinatubo where trekkers can ascend to the crater in three hours past pristine volcanic ash landscape. Hill Tribes and people still living a tribal culture can be found on several islands. In Mindoro, the Hanunuo and Buhid groups of Mangyan tribe still use the their own ancient script. 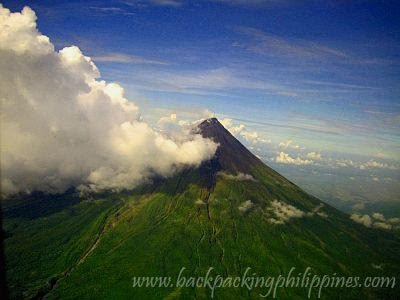 In the Bicol peninsula towers the majestic Mayon Volcano with it's near-perfect cone while less than two hours from Legazpi City beckons Donsol Whale sharks, locally known as butanding where so many of the gentle giants live in Donsol bay. Cebu Island, where Cebu City, the Philippines' oldest city is located, is a favorite retirement place for Americans, Australians and Europeans with a nicer city than Manila close to the beach. In January, Cebu City comes alive in full color with the Sinulog Festival. Davao City, settled at the foot of Mt. Apo, the highest mountain in these islands, offers less crowded and liveable city peaceful and pleasant weather free from typhoons. Kadayawan Festival in September showcases Davao's best. The Philippines is a Golf Mecca with lots of golf courses and driving ranges with it's low green fees compared to other countries. Diving in the Philippines is one of the best with dive sites at the center of the richest marine biodiversity in the world known as the Coral Triangle co-bordered by Malaysia, Indonesia, Timor Leste, Papua New Guinea and Solomon Island. Reputed to be the best dive site in the country is the UNESCO-listed Tubbataha Reefs in Palawan. Bird Watching, Butterfly Watching, Whale Watching, Dolphin Watching, Dragonfly watching are very enjoyable due to the Philippines' rich biodiversity, said to one of the highest in the world in terms of endemicity. There's a guaranteed sighting of giant manta rays in Ticao Pass in Sorsogon. Cable Wakeboarding at Lago de Oro in Calatagan, Batangas, Camarines Sur Watersports Complex (CamSur or CWC), Republic Wakepark in Nuvali, Sta. Rosa, Laguna, and Deca Wakeboard Park in Davao City and Angeles City. Surfing in the Philippines include beaches in La Union, Baler (Aurora), Siargao, and Bagasbas Beach in Daet, Camarines Norte. Wind surfing is an activity in some resorts and places like Caliraya Lake in Laguna province, Bulabog Beach on Boracay and other areas. Kitesurfing and Kiteboarding can be enjoyed at Bulabog Beach on Boracay said to rival similar sites in Vietnam. For adventure seekers, the Philippines is a zipline crazy nation with zipline (sometimes called flying fox or cable-gliding) at Outland Adventure in Davao City. Other zip lines in Davao are at Camp Sabros in Digos City, Eden Nature Park in Davao City and Tree Top Adventure Park in Subic Bay, Tagaytay Zipline at Picnic Grove, and La Mesa Ecopark and Quezon Circle in Quezon City (within Metro Manila). Some of the world's best beaches bannered by the world famous Boracay plus hundreds of virgin islands and undeveloped beaches beckons, majestic waterfalls, unexplored caves (spelunking), kayaking, whitewater rafting, parasailing, water tubing, snorkeling and other water-based activities are yours to enjoy. Adrenaline-filled Whitewater rafting in the rivers of Infanta/Real in Quezon, Cagayan de Oro River in CDO and Chico river in Kalinga in the Cordillera Administrative Region (CAR). Massage services and spa are mushrooming with 1 hour massage in Manila typically costing just PhP300 and up. Try also traditional massage called hilot performed by a manghihilot and traditional foot spa/massage of the Cordilleras called dagdagay (or kolkolis)that uses bamboo sticks to massage your feet. Colorful Philippine fiestas and festivals are there for your visual feast and shutterbugs all year round. Just look for the schedules and start your travel planning there. You'll never run out of great suggestion for your travel itinerary! Thinking of driving in the Philippines? You may avail of an international drivers license but not recommended. Filipinos drive like crazy; better let locals do it for you. In Metro Manila, the fastest way to move around is to use the elevated rails, called MRT (Metro Rail Transit) and LRT (Light Rail Transit) cheap at PhP12.00 to PhP20.00 (about $0.50) depending on distance, then short cab or jeepney rides. Taxis in the Philippines charge PhP40.00 ($1.00) for the first 500 meters, PhP3.50 for additional 300 meters and PhP3.50 for every two minutes of waiting time. This doesn't hold true in Baguio where the flagdown rate is only PhP30.00 due to lack of air-conditioning (unnecessary because of its cold weather). Ferries are available to go island-hopping. You may check this site for some ferry companies and their trip schedules. Small outrigger boats, locally known as banca, can be hired at piers and beaches to transport you to nearby islands, go diving or snorkeling. Cheapest domestic flights in the Philippines are those low fare promos various airlines: Cebu Pacific, Philippine Airlines (Asia's first airline), PAL Express, SEAir, ZestAir (formerly Asian Spirit), SkyPasada, SkyJet and AirAsia Philippines. Jeepneys, who trace their origin to abandoned GI jeeps of WW2, offer connecting routes to every nook and cranny of the city and the whole country with preset routes and low fares, one of the cheapest in the world. Tricycles, motorcycles fitted with sidecars, will get you to destinations in small towns and cities without taxis though, in some towns, cumbersome for lanky and wide-bodied people. In remote areas, motorcyles are fitted to accommodate more people, called habal-habal or skylab. The Philippines is a shopping mecca with cheap souvenirs, goods and other items. Mall culture permeates in society evidenced by the mushrooming of large malls e.g. SM, Robinsons, Rustans, NCCC, Gaisano et al. Haggling is acceptable in public markets like Divisoria, Baclaran and other bazaars (locally called Tiangge). If you're a local, you can get a better price if you can speak the local language or get one to haggle for you. Please read Manila Shopping Guide for more information. Currency used is the Philippine peso divided into 100 centavos. Denominations of PhP0.25, PhP1, PhP5, PhP10 coins and PhP20, PhP50, PhP100, PhP200, PhP500, PhP1000 paper bills. Travelers checks are not honored in most establishments so better bring cash for most purchases and credit cards (VISA/Mastercard/JCB/Diners Club, AMEX) for those who accept them. You may withdraw money from ATMs using your VISA/Plus/Mastercard/Cirrus/Maestro/JCB/CUP from several local ATMs. ATM charges apply, usually 3.5% of your withdrawal transaction plus PhP200.00 access fee per transaction. Is it safe in the Philippines? The Philippines, with its share of trouble spots common in the world, is a relatively safe destination and not really a dangerous backpacking destination. Just practice street smarts, similar thing you do in New York, L.A., London or other big cities; dress down so as not to attract attention. There are certain places that should be avoided at night but it should never apply to the whole country or risk losing the chance to see and experience what the Philippines offers to tourists! Philippine tourism lags behind other southeast Asian countries like Thailand, Malaysia, Singapore but it doesn't mean the Philippines is not a beautiful place. 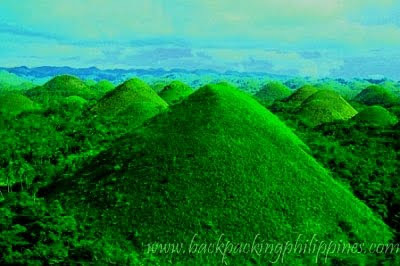 You're missing lots of things should you decide to bypass these paradise Philippine islands. Thanks for the information. I'll check the flights offered by Cebu Pacific so I can determine the differences in price with those offered by Air Asia. I'm hoping to go to Pinas again this year. wow great information and help to those who want to travel the philippines! these info aren't only helpful to foreigners but to people like me, too. :) just by reading, i'm excited to go backpacking... er... somewhere someday. haha. :) really. thank you for sharing. i kinda bookmarked the page. hehe. Ay ang galing! Kumpletong information! :) Tutubi, link ko 'to sa blog ko... pakibago na rin po ng link ko to http://sasha-says.com salamat! You really have a great blog about backpack travelling and this post holds a lot of interesting and important information - thanks for taking your time collecting and sharing this with us. It very popular for Norwegians to travel to your part of the world and I have now updated my blogroll to show to all my readers and friends. really informative... i have yet to explore our country and it seems a looong way to go. Uy! New resource. Very useful ito. will link you up, k? We sell travel guide book online and we're looking for editors to write on philippines travel guide book. Would you be interested? I think the visa free entry for a stay of no more than 21 days in the Philippines is now applicable to Russian passport holders, but not to Indian and Chinese passport holders. You may wish to verify this information from the Philippine Department of Foreign Affairs (www.dfa.gov.ph)and amend the information on your website accordingly. nice info.. anyways, xchange link tayo, travel blog din sakin..
nice post. if you're in the metro manila area don't forget to check out eastwood city. it offers alot of modern conviences and modern style entertainments.. if you want to pick-up a word or two of the tagalog language check out http://www.tagalog.com this site has a search engine with lost of sites written in tagalog. salamat po! Hi Brother please tell me that in cotabato 2 star hotels rates how its will be ? Wow, quite a comprehensive list here! Hi Brother.i want to visit philippine this year last(COTABATO).how is the daily spending money for a normal tourist there in cotabato?i mean food and transportation only....plz answer me ASAP. Anonymous, i am from Cotabato. Glad to know that you want to visit our place. A lot of people are afraid of visiting our place because of rumors which is not all true. There are accommodation located in the center of town and easy access for a transport. For less than Php1,000 is not bad at all. You can have a complete meal at less than Php100.00. If you are not adventorous there's more option at Southseas mall. Thanks for posting that very wonderful places in and out of the country,that's a paradise!!! Hi, I would like to go to the San Antonio in January, but im not finding any hotel in San Antonio, can u help me.San antonio is in Nueva Ecija Provinance.Is it safe to go there in philippines. anonynous, no problem with safety there anytime. regarding hotels, there may not be any in San Antonio. you probably wold find one in neighboring Cabiao town. amazing! i like ur article... it'll be very handy for travellers!! atleast people are informed with the real situation coz I think there are places in the Philippines that are misjudged or media reports damaged the place's rep.. is it ok to exchange links? Manila has a new attraction. At Club Manila East in Taytay, Rizal you can now go surfing in their new wave pool. It's great fun and a cool change from the heat in Manila. The waves are only small, but you can have a good workout and actually surf the wave. They supply surfboards and you can even get lessons if you need. Hi, i was looking in the provences for misamis oriental, cant find it. I did find misamis occidental. hi, this is dinjo constantino from Juan Magazine. Was wondering what tie-ups we can enter into for cross promotion of our companies. you may email me at dinjo.constantino@gmail.com should you have any ideas how we can work together:) thanks! kudos for this wonderful website. thanks for highlighting the beautiful aspects of our country. Hello Tutubi, want to ask what is the safest way in the means of transportation when backpacking around the Philippines? anonymous, i take the planes nost of the time these days faster and cheaper with various promos of budget carriers. i only take ferries for short trips and not during typhoon seasons. after that provincial buses are ok too. there are only certain places i don't recommend you going mostly in western Mindanao and the ARMM. anonymous, i don't have an idea of how you define fun so i can't answer your question. i also live in QC near your school. at this time of year, i would recommend hot spring resorts in pansol and take hm transport bus to Calamba. after calaguas, come naman kau sa naga.. This post really shows how beutiful the Philippines was. Feels great to be in the Philippines and to be a Filipino. By the way, this post is very informative and for sure many will gonna love it. dyou guys do tie-ups with cebu mountaineers? We were wondering if we could request for a post of support for our team in your blog. Your blog is one of the top blogs about travel and we hope that we can reach your readers and get them to vote for us. We'd love to win this travel opportunity and as a traveler I am sure you'd understand that. This is a once in a lifetime chance for us. This all started with fun but we're really serious and determined to win because with a week to go, we're in it with a fighting chance. Bringing the Good Cheetahs on the TOP means bringing the FILIPINOs and DABAWENYOs on the TOP! We would like to request your support for our all-Pinoy team in the form of a short post on how to vote for us. Social networking has always been the best way to send a message here in the Philippines. And I'm sure that the bayanihan spirit is still very much alive. 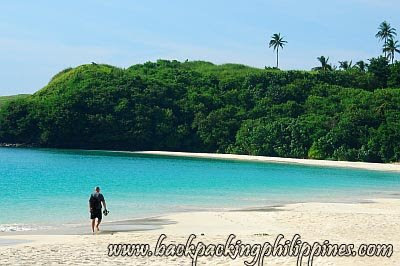 I'm searching for halal food in Boracay, will be in Boracay on the 26 - 28 May 2011. Got any suggestion for that? 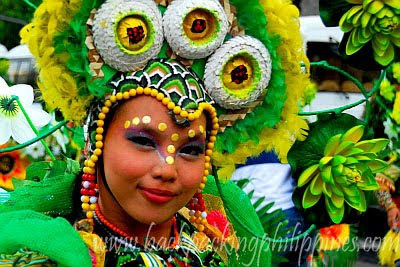 Could you, please, inform what the exact dates of Ati-Atihan festival in January 2012? Hi great blog! Im visiting my relatives in June for a week do you think that the weather at this time is completely terrible and should i put my trip off until a better time? hi im planning to go off to puerto galera this october to november 2012 do you think the beach is goo that time of the year? what affordable but nice and clean hotel an you recommend? thank so much this blog really helps for a new traveler like me.